VoiceCollect GmbH develops, manufactures, sells and services professional Voice Recording Systems (VRS) for Air Traffic Control, Airports, Air Navigation Service Providers, Air Defence and other mission critical applications. The company headquarter is in Bad Homburg/Germany. Our Voice Recording Systems are distributed worldwide via Partners and System Integrators. Our VC-MDx Voice Recording Software offers up to 1024 simultaneous recording channels from a variety of interfaces and is deployed either on COTS hardware or on virtual machines (VM). Our ATC solutions offer recording and data interfaces for TDM and VoIP (especially ED137) sources and special features like Import Agent, Synchronized Playback with Radar and ATM Systems, and different Export formats. Recording interfaces are successfully tested with all major VCCS and Radar manufacturers. Evaluation and playback of recordings are available via LAN based on Client or WEB applications. Based on the field of application, different solutions are available, e.g. for the fast and uncomplicated playback of the last communication of a specific console or frequency or the detailed evaluation of a specific scenario. The playback operator is supported by especially developed tools like Impound Agent, Playback-AGC, Quick Search, Filter routines and legal copy. 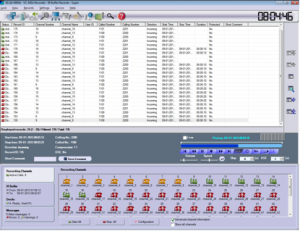 The graphical user interface of the VC-MDx software is optimized for easy operation and user support. For smaller and mobile or semi-mobile applications VoiceCollect offers the Solid State Recorders IR 44 CF-II (4 recording channels) and CFR (Up to 32 recording channels). Those systems are easy-to-use, heavy duty and maintenance free. In addition VoiceCollect offers an Announcing System, the ASA-4, for A-T-I-S (Air Terminal Information Service) announcements. Deployment and commissioning, product trainings, after-sales-service and SLA are offered by VoiceCollect and our appointed partners. VoiceCollect stands as your qualified point of contact for all your recording needs, from the smallest airfield up to complex ACC solutions with geo-redundancy on virtual systems. VC-MDx multichannel voice & data recording software is capable of simultaneous recording of up to 512 communication channels. Different types of interface are available, including Analogue, ISDN, Digital PBX and different types of active and passive VoIP protocols. MDx is based on an open system architecture which includes the Windows operating system, Intel processors, SATA hard drives and PCI bus technology. This enables trouble-free integration into existing telecommunications systems and IT infrastructures. The combined playback of Audio & Screen recordings is implemented on the Skysoft ATM Playback & Supervision Workstation. The user selects playback start date & time, screen(s) and audio channel(s) to be played back. The Skysoft ATM Playback & Supervision Workstation requests the Screen & Audio information from the Recorder components. In case of Audio data this request is handled via the ATIS UHER SA Playback workstation. The data is streamed to the Skysoft ATM Playback & Supervision Workstation and available for playback. The IR 44 CF-II recorder, which is an advanced version of the Instant Recall 44 Compact Flash system, is the smallest member of the VoiceCollect® product family. Thanks to its compact design, this device with a recording capacity for up to four channels is the ideal solution for mobile and semi-mobile applications and small LEA control centres. The IR 44 CF-II is operated using simple function keys and the LC display; recording and replay can be either simultaneous or independent of each other. There is an integrated loudspeaker for direct replay from the device. Moreover, there are also sockets on the front panel for connecting headphones and copying devices. A player application is also available for replaying call contents on a PC or laptop. All calls are saved on removable CF cards and can be exported over a LAN and archived on any medium desired. Thanks to highly efficient voice compression, the IR 44 CF-II can record up to 200 hours of conversation in excellent quality on one 512 MB card. 1, 2, 4, 8 or GB CF cards are also available. CFR digital recorder VoiceCollect GmbH follows his long history of self-contained, highly reliable voice recording systems. Within the range of 4 to 32 recording channels the CFR covers a broad market segment and the small and heavy duty packaging allows the operation in mobile & semi-mobile applications and under fierce conditions. VoiceCollect GmbH has provided announcing systems for Air Terminal Information Service based on analogue and later digital speech recording and storage. The newly developed ASA-4 is the latest announcing system for VoiceCollect GmbH, based on modern processor and digital storage technology. 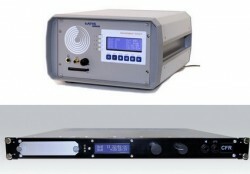 It provides 2x 6,5 minutes of voice storage for active and stand-by message and four analogue outputs for connection to radio transmitters. 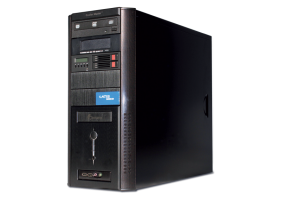 The system is based on a powerful embedded CPU with real-time operating system and flash storage, providing a maintenance free, highly reliable hardware platform. Operated by function keys and LC-Display, the announcements are recorded via PTT microphone and can be checked by built-in loudspeaker or headphone connection. Visit VoiceCollect GmbH at the World ATM Congress 2019 – Booth: 1301!